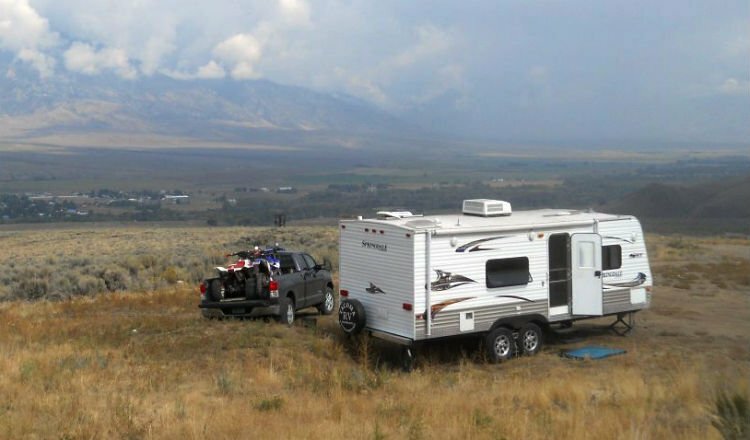 During our RV adventures across the Western U.S., my wife and I may go weeks without staying in a conventional campground with hookups. Dispersed camping in the boondocks is our preferred place to camp. It’s quiet, typically close to the places we want to explore, and the price is right. While there many ways to save water when dry camping, sooner or later we need to fill up our fresh water tank. A lot of the times we fill our tank at the common and convenient locations, while other times we have been surprised by where we were able to find fresh water for dry camping. Finding freshwater is relatively easy and convenient. But there may be some areas you may not know about. These are one of the most common places for us to find fresh water for dry camping. So, places like Pilot, Flying J, Travel America, and others will typically have a fresh water spigot available. But, if one is not readily available, just ask. As a result, we find that most attendants will make an effort to meet your request. Additionally, on occasion, many mini-markets will have a janitor sink in the back where, with the attendant’s help, run your hose through the back door to the sink. These areas typically have a faucet available for hikers and campers. Actually, the BLM station in remote Hanksville, Utah, has a very accessible faucet in the back that we have used on several occasions. Most have potable water available. Some are free, others have a fee. Sometimes water spigots are at the visitors center. If not, simply ask and a ranger will likely direct you to one. Even if you are not staying the night, most national park campgrounds will let you pull in and take on water. After all, you did pay the entrance fee to be in the park. Water spigots are throughout these parks. While you always have to be cautious it’s potable water—and not for irrigation purposes—non-potable water spigots are typically labeled. Don’t be afraid to ask after you have purchased propane, groceries or other products. In fact, we once filled up at a restaurant, another time at an Office Depot. There are numerous passages in the Bible about thirst and water (John 7:37 for example). Stop by a church and ask the pastor or office staff if they would be kind enough to provide water to a stranger. You won’t be turned down. While there may not be potable water at your next dispersed camping site, there may be some options for you in the nearest community when you run dry. Carry a Water Bandit or similar product. These allow an easy connecting to a non-threaded spigot. When asking for water, mention, “I am RVing, do you mind if I take on some water?” If you tell someone you need gallons they may think twice. Also, carry an extra length of water hose (or two) to reach those out of the way faucets. To ensure clean, safe drinking water for RVing, perhaps invest in an in-line water filter for your RV that can remove most contaminants and bacteria. Thanks for a sensible, good-neighbor policy!!! Kudos. You’re right. Key word being “Bandit.” Stealing is stealing. Well and good to take on water but where do you dump your waste? Most dump stations have a potable water faucet. I can’t imagine asking to take on water without offering to pay. These places have to pay for their water. The words “take on” would make me think twice, as that sounds like a lot. So, what should be a fair price to pay for public water supplied through pipes and mains, 10 cents gallon? Make sure it is potable. You can’t know for sure at dump stations. Some hoses aren’t marked. I agree with paying for your water. I think asking others to subsidize our RV lifestyles is in bad taste and gives us all a leach-like bad reputation. Every party needs a pooper, that’s why we invited you……Party Pooper…. We have found water at a restaurant next to the place we parked for the night which happens to also be a restaurant, but since there were no spigot in the back of the restaurant we parked at, I looked around at the other place and there was a young man washing some pots and pans in the back of the restaurant, so I asked him if we could fill up and he said sure. So we let him finish his work while I move the 5th wheel to the back of the other restaurant, took out our hose then I asked him to disconnect the hose he was using, connected our hose and filled up. We were considering having breakfast there the next morning to thank them for being so nice but they opened to late, we would be on the road for 2 hours by then. I disagree with the ‘water bandit’s facilitate theft’ comment/intent. 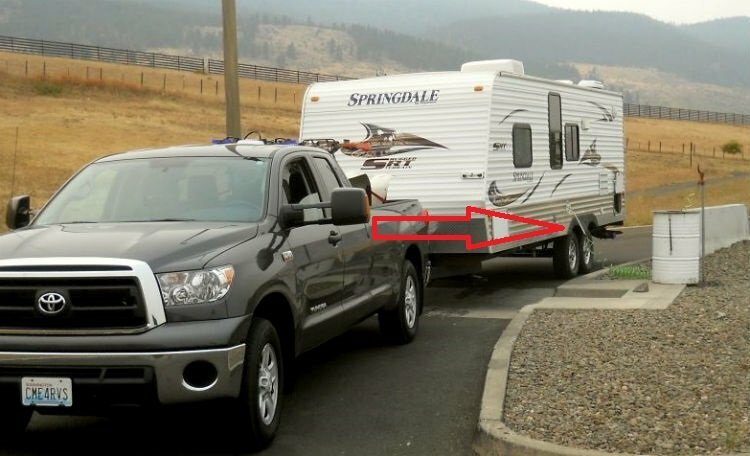 In my experience, most of the time you find a non-threaded spigot, It is to keep some RV’er from monopolizing a public spigot by hooking it to his ‘city water’ inlet (in a campground) long term or using it to wash his rig (making a mudhole around the tap), both at the expense of everyone else. I believe the intent is to avoid situations where RV’ers abuse an opportunity. If you agree, then you likely agree the intent is not violated to use the bandit to get water into your tank then leave. I don’t think the ‘scarce resource’ idea has any merit. On the issue of ‘water theft’, lets put some numbers to it and know what the costs are. At my home in CA, I pay $1.13/hundred cubic feet for water. This amounts to $0.00155/gallon. I’d bet that California water is on the expensive end of municipal water rates. At this rate, The cost of filling my 40 gallon truck camper is $.062. I cannot see how a reasonable person can see that as a significant expense for a business to bear (rising to the level of ‘theft’). It probably costs more than that in toilet paper for your use of the bathroom just once. Furthermore, as marketing expenses go, its likely a hugely cost-effective producer of good will. What I think we have here is the offended class making an issue about which they have no knowledge, and hope you don’t either. Lastly, ‘Taking on some water’ IS deceptive. It is intended to obscure how much you plan to get. I see nothing wrong with that. What I say is ‘Do you mind if I top off my water’. It is equally deceptive. BUT, what I am trying to do is to eliminate that alarm bell from ringing in the uneducated mind that results in their saying ‘no’ simply because they don’t know. I am not trying to ‘take advantage’ of a business or employee because I know how much $ I will actually be getting and am quite sure that if they did too, there would not be a problem. I would certainly be willing to pay 2-5x the actual cost of the water but I doubt anyone who is in a position to need to name a price, actually knows their cost. Many places that do have a set price are often asking 20x-50x their cost which I think is unreasonable and could/should be seen as price gouging.